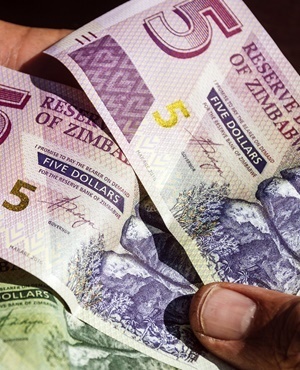 Zimbabwe's inflation rate is shooting up again, reaching 42% year-on-year in December. This was before the recent massive fuel price hikes which resulted in an ongoing national shutdown and days of protests. The year-on-year inflation rate for the month of December 2018, as measured by the all items Consumer Price Index, stood at 42.09%, according to Zimbabwe National Statistics. This is 11 percentage points higher than the annual November rate of 31%. And inflation figures are likely to spiral again, following the fuel price increases announced by President Emmerson Mnangagwa. Over the weekend, the Zimbabwean government boosted the pump price of petrol to $3.11 a litre, from $1.34 previously. According to globalpetrolprices.com, Zimbabwe's petrol price is now the most expensive in the world. The next most expensive country for motorists is Hong Kong, were a litre of petrol costs $2.06. As a result of the increase, transport fares have already tripled. The government has cracked down on the protests, restricting access to social media and arresting prominent activist and pastor Evan Mawarire.